"Orcs Must Die! 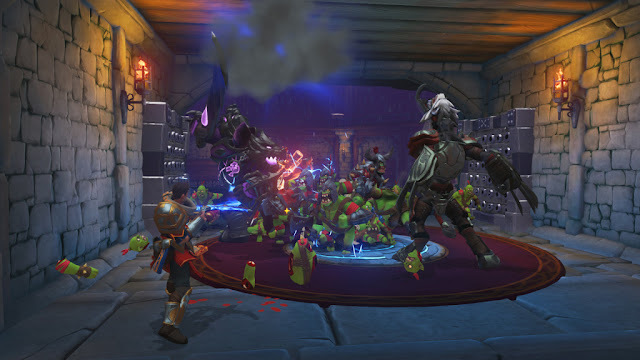 Unchained ",developer Robot Entertainment blends tower defense and action elements and lets teams compete against each other. They each form five heroes, with their own abilities and roles on the battlefield. There is, for example, the mighty front fighter, who supports the AI ​​colleagues on their way against the enemy's defense. Or the agile creeper with whom you plunder the enemy territory. The free-to-play title has been available on Steam since 19 April. In cooperation with Robot Entertainment, we donate 5,000 item packages worth 14 euros.